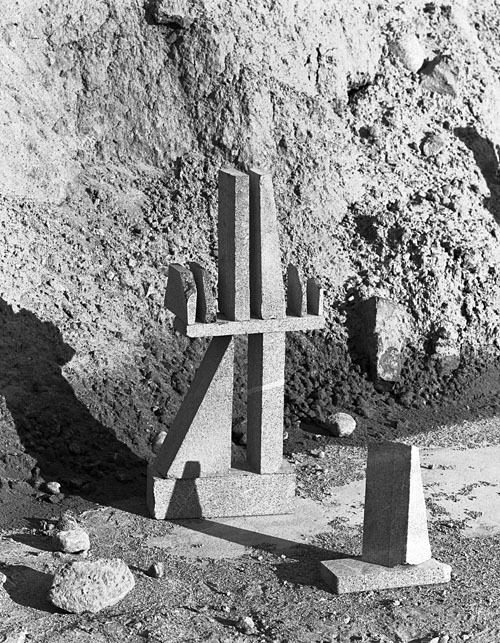 Although Stefan Klampfer’s series „Message to Our Folks“ (2016), the title of which is derived from a music album, might imply it, this work is not about the remains of a vanished culture. 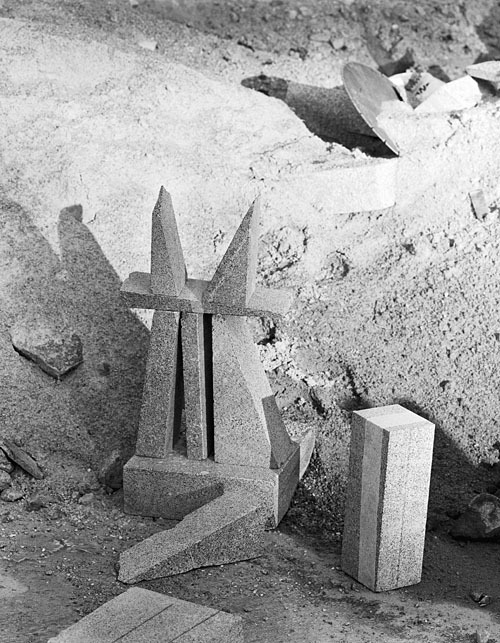 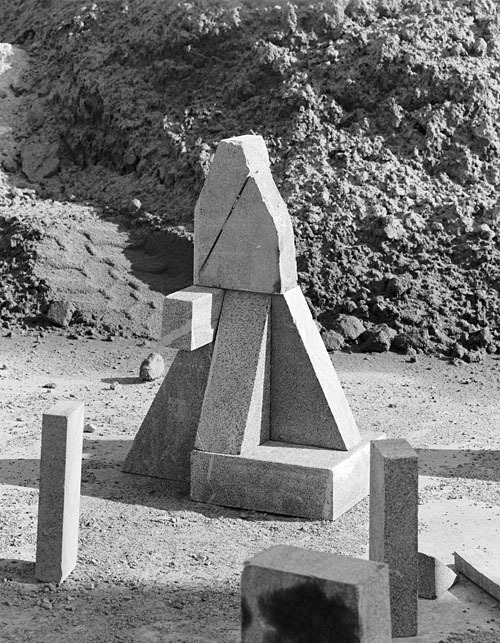 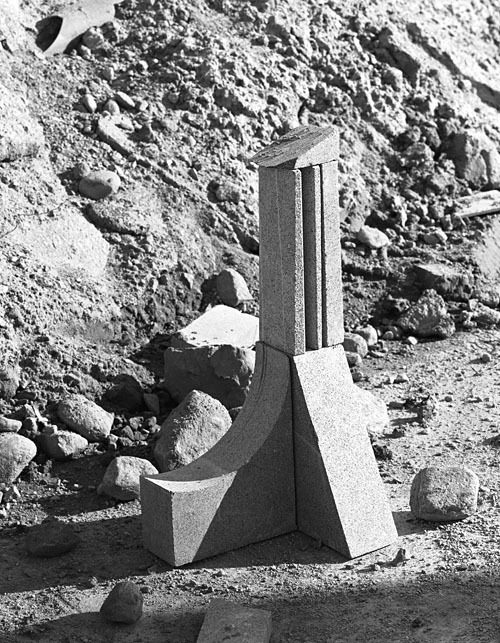 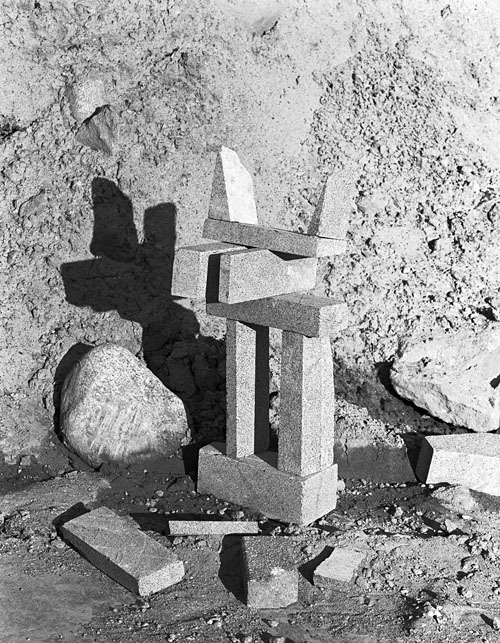 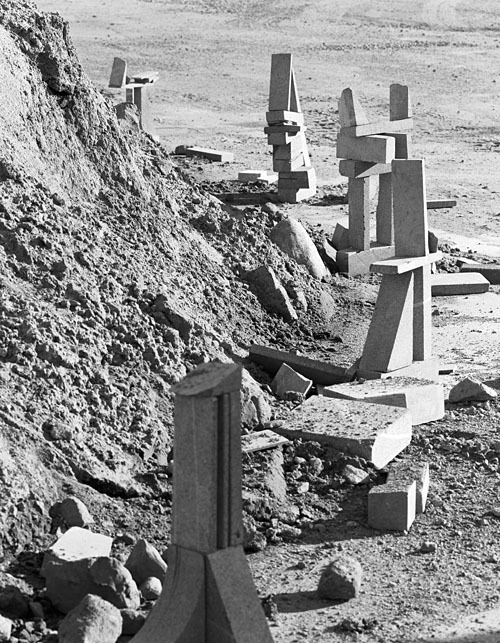 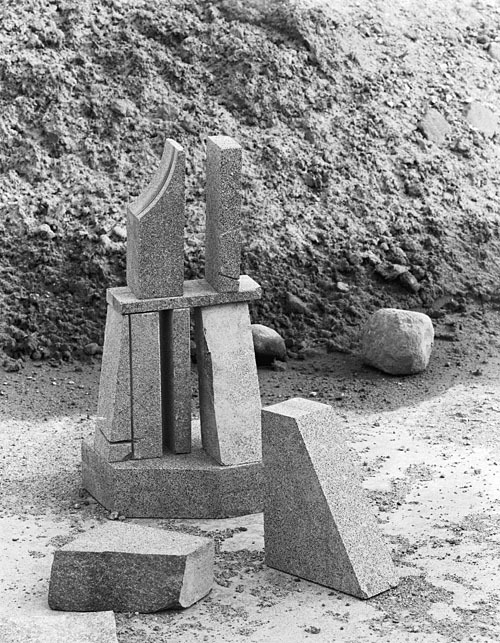 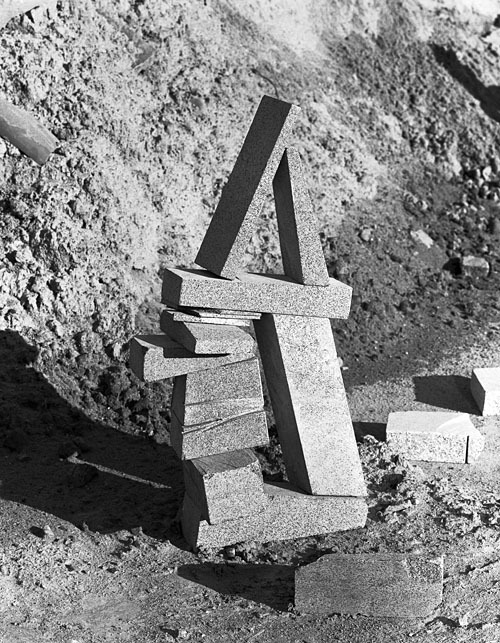 He built the sculptures on a construction site from the remnants of granite used there and then staged them in photographs. 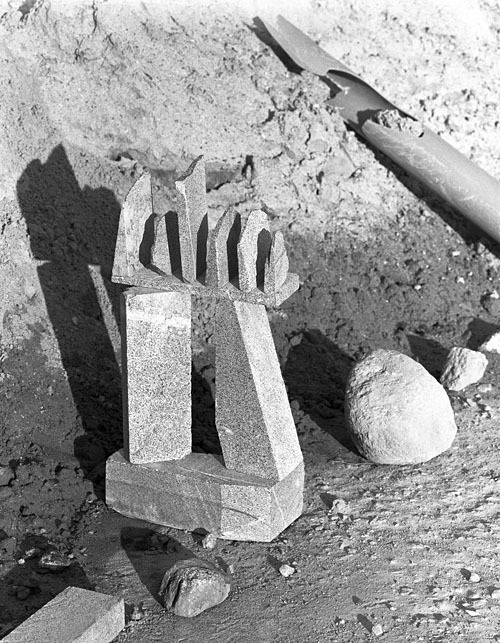 The workers left them standing for around ten days; speculations on the origins of the mysterious objects ranged from playing children to extraterrestrials.